Rochelle is a physiotherapist with extensive experience with animals including horses. 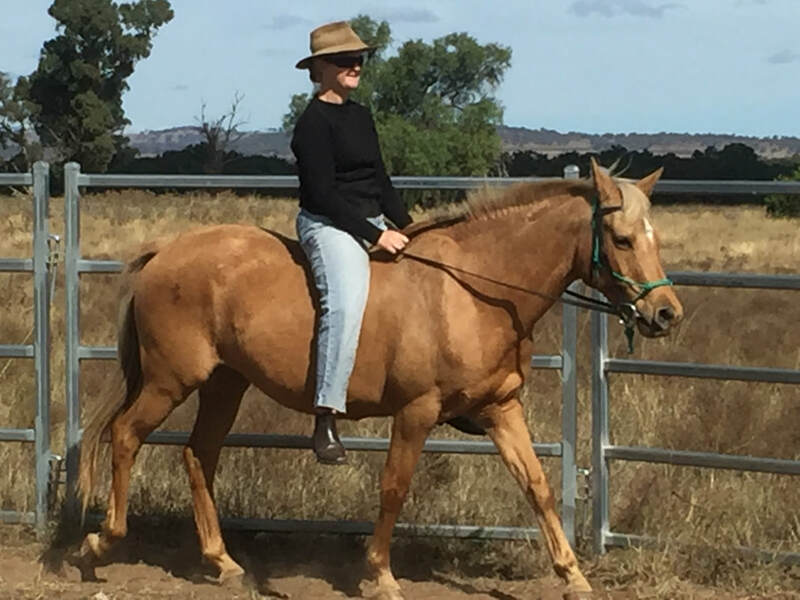 She is currently working on rescue horses and aims to have extremely safe and quiet horses. Rochelle is a proud supporter of Horse Welfare Inc, based in the Hunter Valley of New South Wales. I have four horses at the moment. The grey and chestnut in the title photo came to me in the heat of 2018, just after Christmas. They took a little while to settle in, both being rescues. The title photo shows the first big breakthrough, when Joker (the grey) really let me in to his world. A few weeks later I was riding him. Handi, the chestnut is green, unstarted and I am slowly working with him. Lament (Llambrecon Georgian Lament) is also unstarted, but has come a long way since arriving in Jan 2019 for a short foster period. He is currently looking for a home through Horse Welfare Inc and is a register Welsh A who is already capable of coping with showing in led classes. Then came Dior, the Welsh palomino at the end of March, 2018. 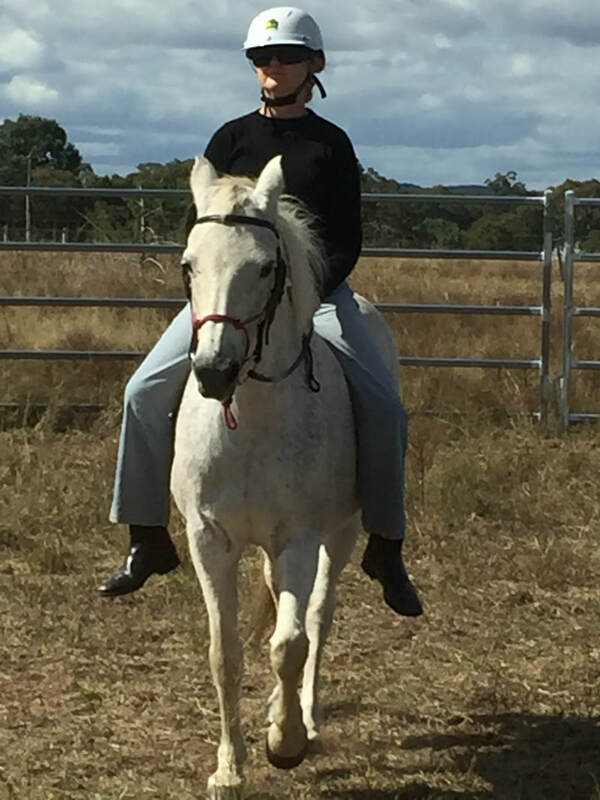 As I couldn't find any signs of arthritis in her, despite being titchy around her hindquarters, so she got a ride too.